The Austin American-Statesman is recommending clemency instead of the death penalty for David Powell. Specifically, they recommend that “life without parole would be fair punishment for David Lee Powell“. Clemency means to moderate the severity of punishment, which is exactly what the Statesman is recommending. The contact information for Governor Perry is: (512) 463-1782 or through his email form on his website. Once again, we all must ponder the most serious power the state grants itself, the authority to take a life. 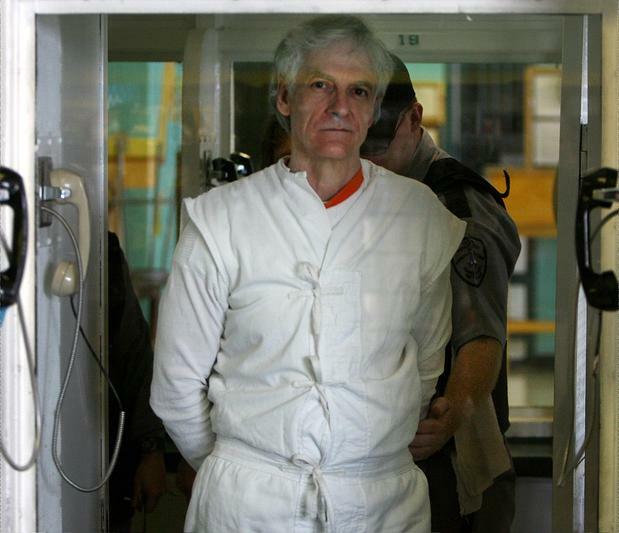 Barring unanticipated intervention by the courts or state officials, David Lee Powell will be executed June 15 for gunning down Austin police officer Ralph Ablanedo in 1978. The crime was an unconscionable, unforgiveable act by a UT dropout whose promising young life was sidetracked when he got into using and dealing drugs. Now, 32 years and three trials later, Austinites again should remember and mourn the death of Ablanedo, the father of two young sons when Powell killed him. And, also because 32 years have passed, Texans again should weigh the death penalty to see if it is equitably meted out. We do not believe it is. And we believe this case — as heinous as they come — shows why life without parole is a fairer option as the ultimate punishment. In order to recommend a death sentence, jurors must decide “there is a probability that the defendant would commit criminal acts of violence that would constitute a continuing threat to society” inside or outside of prison. The law requires jurors to predict the future. Prosecutors often help by bringing in expert psychiatric testimony. It can be from experts who never examined the defendant. Psychiatrist Seth Silverman of Houston, who treated Powell in recent years and said the inmate responded well to psychotherapy, reported in an affidavit that Powell poses “virtually no risk” of future violence. Silverman also included stats showing how the passage of time decreases the probability of problems with the law: Arrest rates fall 90 percent from age 20 to age 60. Powell is 59. The passage of time is what makes the Powell case so instructive. There’s never been a Texas case with a longer lag between offense and execution. And it is that passage of time that raises important questions about the death penalty. Whatever it was that caused the initial conclusion that Powell would be a continuing threat has turned out to be wrong. This leads to questions of equal justice. What then of Death Row inmates whose cases do not drag on long enough to prove they are not a continuing threat? Is it fair that the potential vagaries of the judicial process give somebody like Powell three decades to show he is not a continuing threat while other death row inmates don’t get that opportunity to prove jurors wrong? We do not believe Powell should ever draw a breath outside of prison bars. But we do believe his case highlights problems with the death penalty. It also is a case in which we agree with much of what has been said on all sides. “He will be put to death, and Ralph will still be gone. It’s not about feeling better. There is nothing to feel good about,” she said. Properly administered, life without parole can serve the same function.